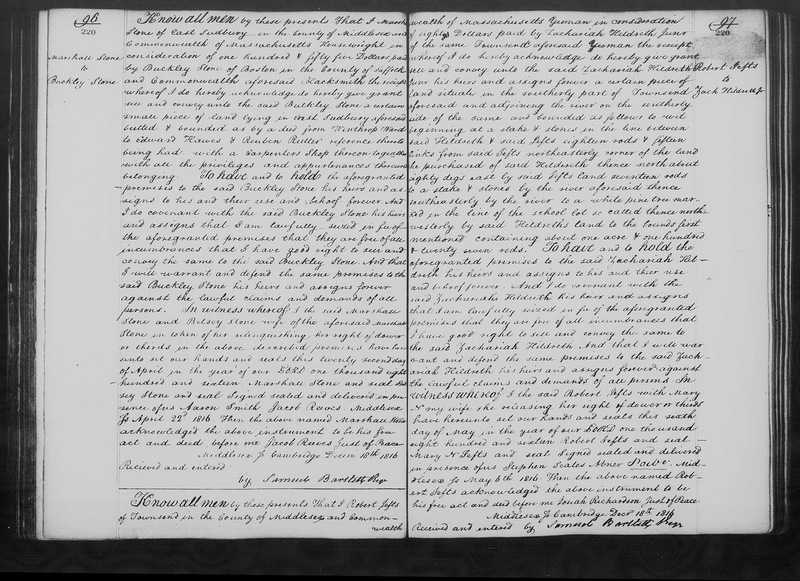 Genea-Musings: Amanuensis Monday - 1824 Deed of Samuel Stone Jr. to Zachariah Hildreth Jr. in Townsend, Mass. 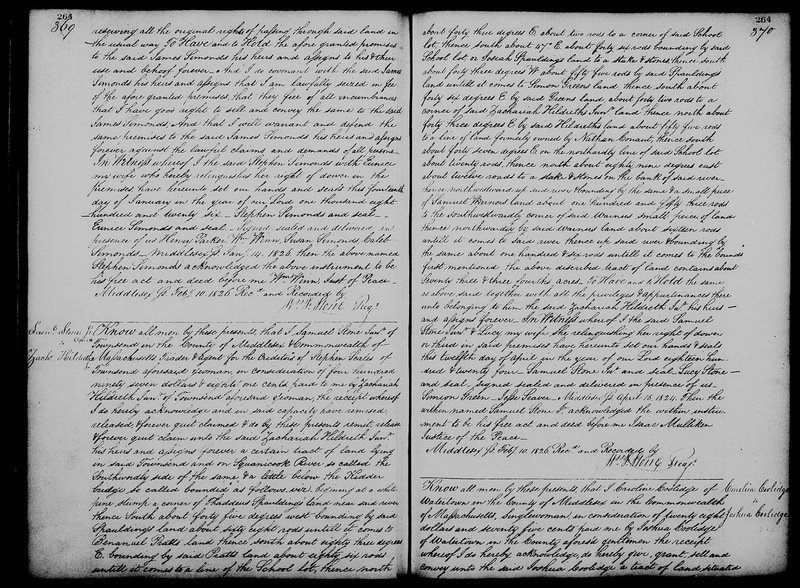 Amanuensis Monday - 1824 Deed of Samuel Stone Jr. to Zachariah Hildreth Jr. in Townsend, Mass. 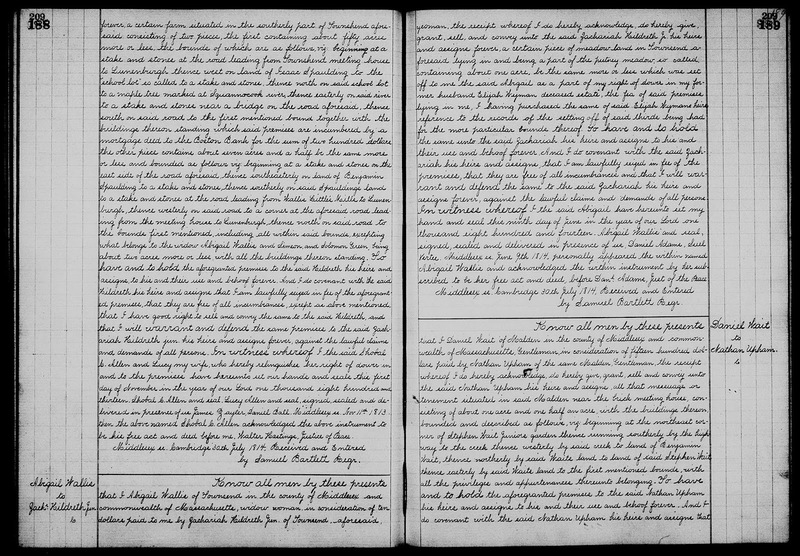 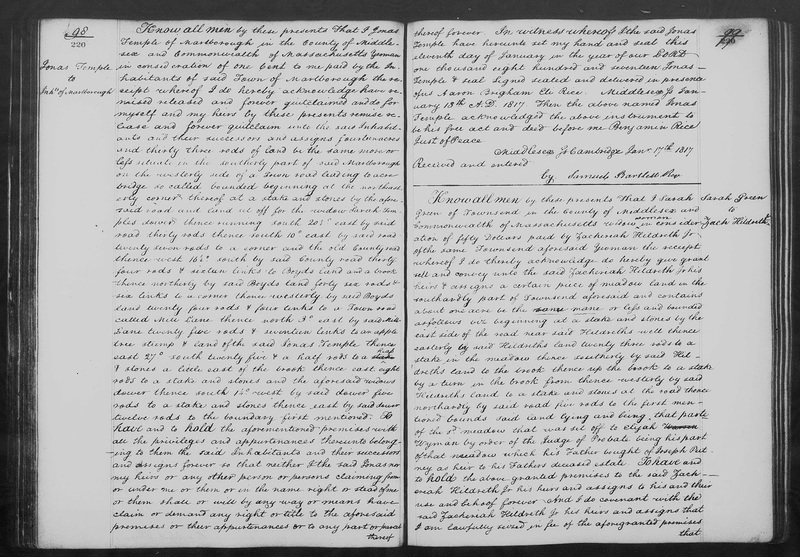 "Massachusetts, Land Records, 1620-1986," digital images, Church of Jesus Christ of Latter-Day Saints,FamilySearch (https://familysearch.org : accessed 4 November 2018), Middlesex County, "Deeds, 1825-1826, Vols. 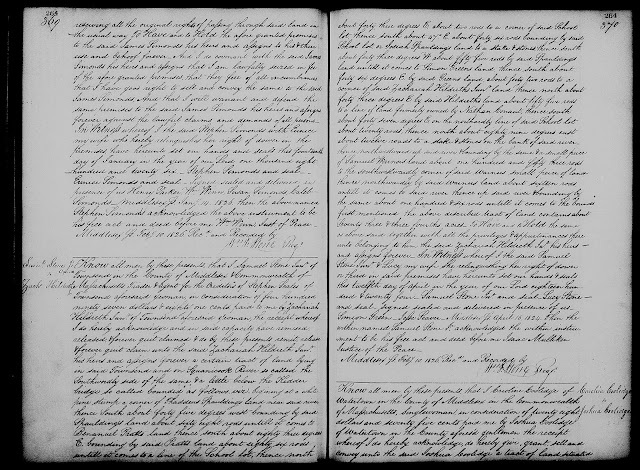 263-265," Volume 264, pages 369-370 (image 469 of 842), Deed of Samuel Stone Jr. to Zachariah Hildreth Jr., executed 12 April 1824, recorded 10 February 1826. 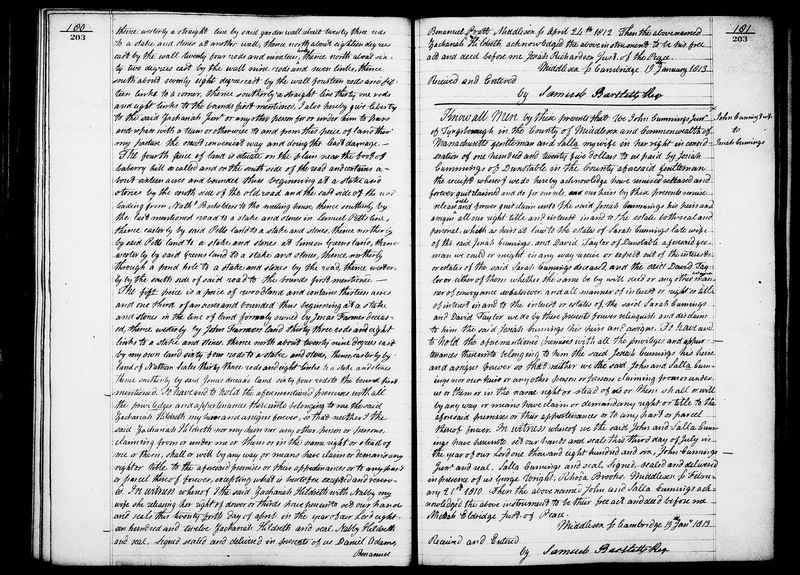 This is the sixth deed where Zachariah Hildreth Junior bought land in Townsend, Massachusetts from someone other than his father, Zachariah Hildreth Sr. With this deed, he bought a 74 acre parcel of land in Townsend bordering the river for about $498 from Samuel Stone Jr., acting as trader and agent for the creditors of Stephen Scales.